The Children’s Hospital of Wisconsin New Berlin clinic is a 4-phase remodel of a fully operational, multi-specialty clinic. This project includes the renovation of asthma/allergy, audiology, behavioral health, cardiology, dermatology, gastroenterology, neurology, ophthalmology, physical therapy, pulmonary, urgent care, and urology. Also included are a remote dispensing pharmacy and general surgery. 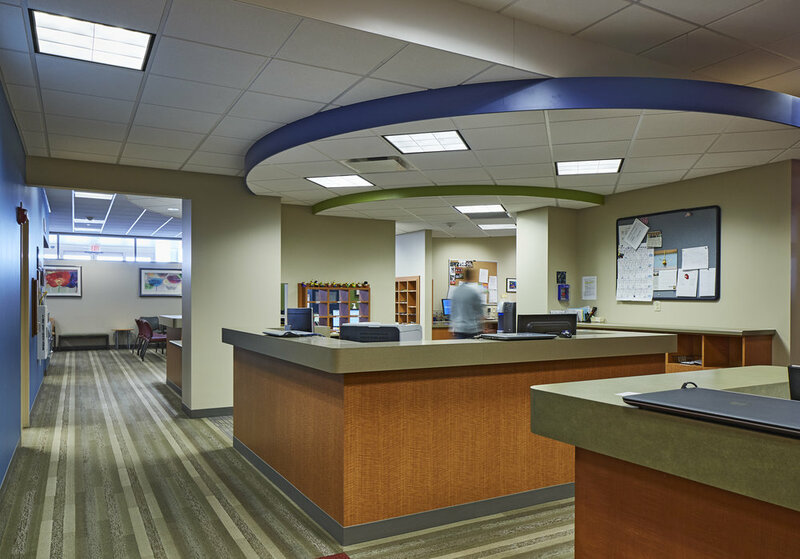 The central check-in process for the entire clinic building was reconfigured in this remodel.